Months after announcing their Washington-based event for the start of April, the coordinators of the first National Trans Visibility March (NTVM) have opted to move the event to September. The March itself had been planned for April 1, with the first annual Torch Awards event, designed to pay homage to a number of long-standing transgender leaders, the day before. The award program was to segue into a Trans Visibility Ball. 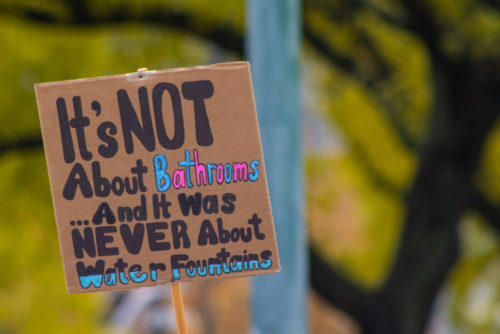 “As the Senior Strategy Director for the National Trans Visibility March, I am saddened, but not defeated, to have to postpone the first National Trans Visibility March, initially scheduled to be held March 31 & April 1, 2019, in Washington, DC, to be held in September 2019,” began a statement from Senior Strategy Director Marissa Miller to the NTVM Facebook page. Two weeks ago, event organizers decided that hosting the National Trans Visibility March on April 1 would lead to problems since it is April Fools Day, and changed the march to the same day as the awards event and ball. Related: What is going on with the Women’s March & why does it matter to LGBTQ people? This change would have also moved the march to the weekend, rather than a Monday, which could have allowed for increased attendance. The change was not without additional logistical issues, such as planning a new route and securing new permits. With this in mind, organizers decided to move the NTVM to an as of yet undetermined date in September. This also gives organizers more time to raise necessary funding. While Gilead Pharmaceuticals has stepped up to aid the event, the organizers still need more funding for their plans to transport and house some 1,500 transgender and gender nonconforming people from across the country and allow them to participate in the event. In spite of the setback, Miller, who also works in the healthcare industry, remains upbeat.